Hello! Welcome to Part Two of our Day in Eureka Springs, Arkansas. If you missed the first post, just scroll down. 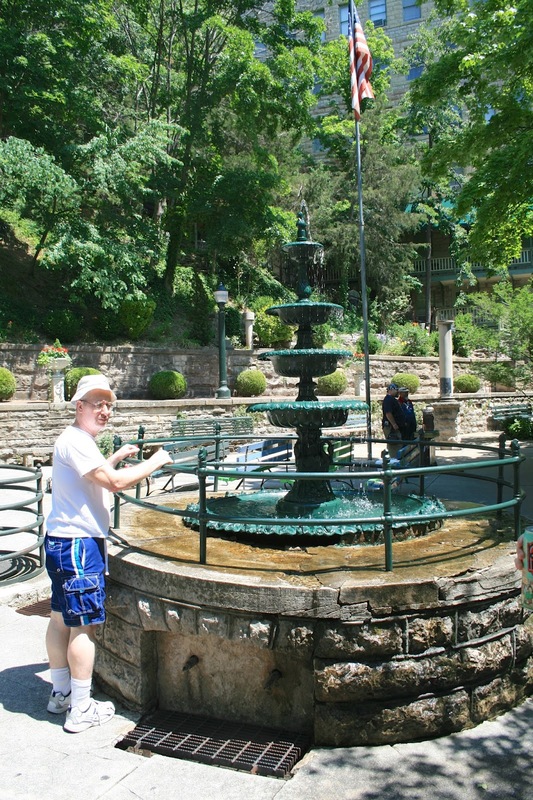 Today's Post is all about Basin Spring, which is a small park in Eureka Springs dedicated to the water that made Eureka Springs famous and started the whole town. Native American legend tells of the great healing spring and many cultures and peoples arrived there for it's healing powers. It eventually became a popular tourist destination, spa, and flourishing city. 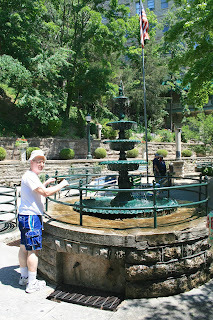 Well, I did not see any famous water spouts to drink from to see if any of my ailments could be healed, nor did I see any Eureka Springs water for sale, but I did find this quaint park with a lovely water fountain. Above the fountain, is a natural rock formation and a band shell where the arts are celebrated. 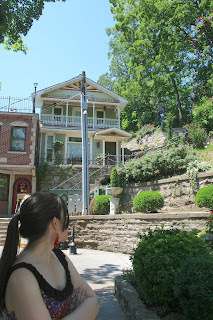 Below is a picture of my daughter looking up at one of the lovely homes above the park. My husband at the fountain. A Goddess Statue which is above the park. 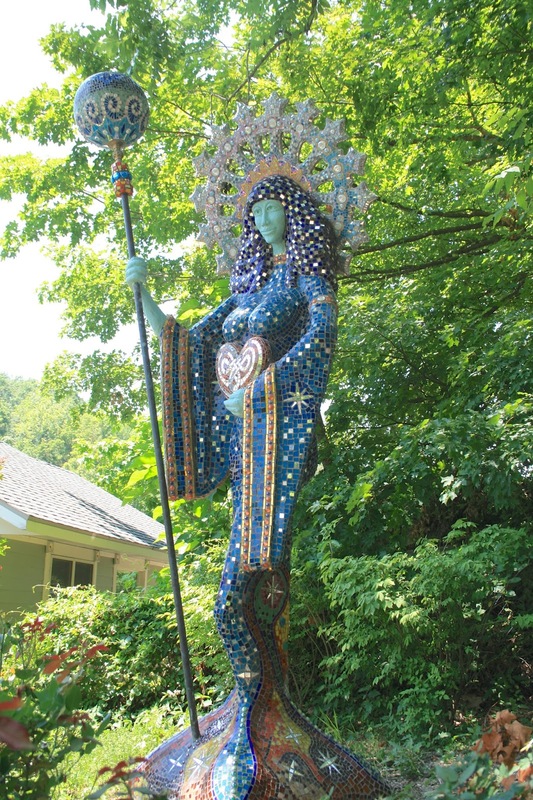 This natural rock formation is above the park and tells the story of the healing waters of Eureka Springs. My daughter and son-in-law standing at the entrance to the park with the fountain and band shell behind them. I have this great urge to go to Missouri..... beautiful pictures of it all! Such pretty pictures Amy. The rock formations remind me of the ones in wisconsin dells by the river. So beautiful! Pretty pictures! 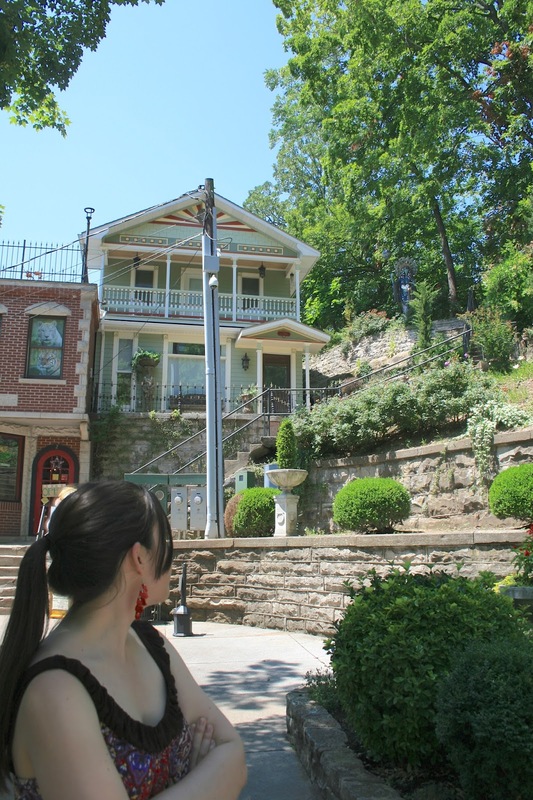 Eureka Springs is such a special place-- Enjoy! A Christmas Walk of My Own Home - Day Fourteen, The Last Day!